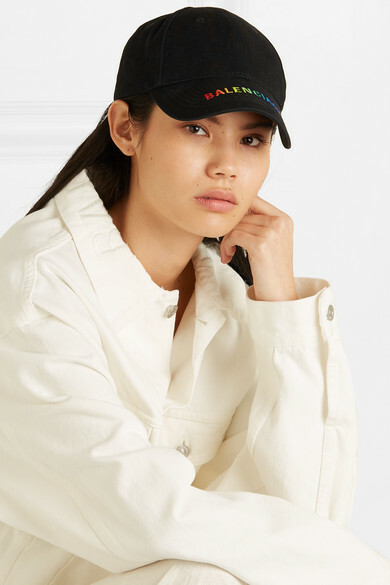 Whether you're heading to brunch after a workout or about to get on a long-haul flight, Balenciaga's baseball cap is a cool way to finish a look without spending time styling your hair. 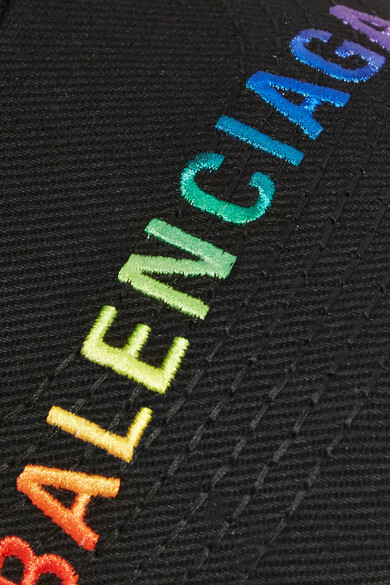 It's been made in Italy from cotton-twill embroidered with the brand's moniker in rainbow lettering. 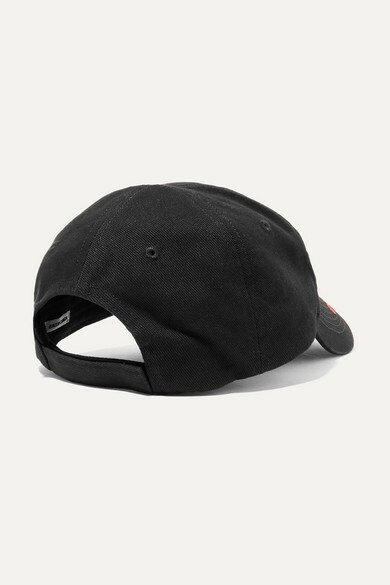 Adjust the Velcro®-fastening tab at the back to find the right fit. Shown here with: Balenciaga Jacket.